Mountain coniferous forests of Southern Europe seem to be increasingly affected by large fires. Endemic Greek fir (Abies cephalonica) forests were among the most affected ecosystems by the 2007 extreme wildfires in Greece. The aim of this study is to investigate the pattern of post-fire regeneration of fir forest plant communities of Mount Parnitha National Park, in Attica (Greece), after a large wildfire. A network of 8 severely burned sites across the mountain ridge was established in order to monitor natural regeneration of A. cephalonica as well as post-fire floristic composition and species richness. Field campaigns took place in two distinct time periods, one close to the fire event and one 8 to 10 years after. Generalized linear models were used to explore the effects of distance and microhabitat variables on the post-fire regeneration of the Greek fir. Distance from the unburned patches, slope and cover of woody species significantly affected A. cephalonica seedling establishment and hence its natural post-fire regeneration. Floristic composition and plant species richness of the recovering fir communities changed through time. During the initial phase, high species richness was recorded, mainly because of the high contribution of herbaceous species. During the second period, species richness was lower and similar to that recorded in the unburned fir communities. 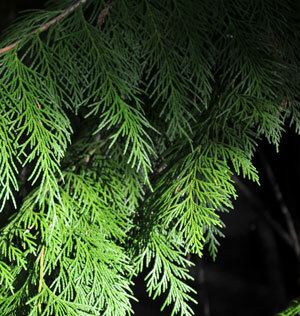 It is during this period when the first seedlings of the Greek fir managed to establish, although their density is rather low to ensure full recovery of the forest. Changes in fire regime explain the Holocene rise and fall of Abies balsamea in the coniferous forests of western Québec, Canada. The Holocene 18 (5): 693-703. Phytogeography and ecological evaluation of the flora and vegetation of Mt Parnitha (Attica, Greece). Edinburgh Journal of Botany 64 (2): 185-207. Post-fire regeneration of natural Pinus halepensis forests in the East Mediterranean Basin. In: “Ecology, Biogeography and Management of Pinus halepensis and P. brutia Forest Ecosystems in the Mediterranean Basin” (Ne’eman G, Trabaud L eds). Backhuys, Leiden, The Netherlands, pp. 269-290. Effects of fire on high altitude coniferous forests of Greece. In: Proceedings of the “VI International Conference on Forest Fire Research” (Viegas DX eds). Coimbra, Portugal, pp. 12. Fitting linear mixed-effects models using lme4. Journal of Statistical Software 67 (1): 1-48. Indicator values for vascular plants in the Southern Aegean (Greece). Braun-Blanquetia 32: 1-109. The global distribution of ecosystems in a world without fire. New Phytologist 165: 525-538. Provenance and seed mass determine seed tolerance to high temperatures associated to forest fires in Pinus pinaster. Annals of Forest Science 73: 381-391. Post-fire regeneration patterns of Pinus nigra in a recently burned area in Mount Taygetos, Southern Greece: the role of unburned forest patches. Forest Ecology and Management 327: 148-156. Local seed dispersal in European silver fir (Abies alba Mill. ): lessons learned from a seed trap experiment. Trees 26: 987-996. Technical manual of mapping of Greek habitat types. Greek Biotope - Wetland Centre (EKBY), Thessaloniki, Greece, pp. 393. Vascular plants of Greece: an annotated checklist. Botanic Garden and Botanical Museum Berlin-Dahlem and Hellenic Botanical Society [Englera 31], Berlin, Germany and Athens, Greece, pp. 372. Vascular plants of Greece: an annotated checklist. Willdenowia 46 (3): 301-347. Abies pinsapo forests in Spain and Morocco: threats and conservation. Oryx 44 (2): 276-284. Agricolae: statistical procedures for agricultural research. R package version 1.2-8. Forest structure and fire history in an old Pinus nigra forest eastern Spain. Forest Ecology and Management 255: 1234-1242. Tree growth-climate relationships in a forest-plot network on Mediterranean mountains. Science of the Total Environment 598: 393-403. Post-fire regeneration dynamics in a Mediterranean type ecosystem in Sithonia, northern Greece: ten years after the fire. In: Proceedings of the “10th MEDECOS Conference” (Arianoutsou M, Papanastasis V eds). Rhodes (Greece) Apr 25 - May 1 2004. Millpress, Rotterdam, Netherlands, pp. 1-9. First results on early post-fire succession in an Abies cephalonica forest (Parnitha National Park, Greece). iForest 5: 6-13. Contrasting effects of fire severity on the regeneration of Pinus halepensis Mill. and resprouter species in recently thinned thickets. Forests 8: 55. Can Ellenberg’s indicator values for Mediterranean plants be used outside their region of definition? Journal of Biogeography 34: 62-68. High and dry: post-fire tree seedling establishment in subalpine forests decreases with post-fire drought and large stand-replacing burn patches. Global Ecology and Biogeography 25: 655-669. Stages of plant succession in Fagus sylvatica L. and Pinus sylvestris L. forest of Tejera Negra National Park (Central Spain), three years after fire. Israel Journal of Plant Science 44: 347-358. Fire severity filters regeneration traits to shape community assembly in Alaska’s boreal forest. PLoS ONE 8(2): e56033. Vegetation composition in a post-fire successional gradient of Pinus halepensis forests in Attica, Greece. International Journal of Wildland Fire 6 (2): 83-91. Forest botany. SEAB, NTUA, Athens, Greece, pp. 620. Where did the fires burn in Peloponnisos, Greece the summer of 2007? Evidence for a synergy of fuel and weather. Agricultural and Forest Meteorology 156: 41-53. Analysis of ecological communities. MjM Software, Gleneden Beach, OR, USA, pp. 304. Climate change, wildfires and fir forests in Greece: perceptions of forest managers. South-East European Forestry 6 (2): 143-157. A simple mechanistic model of seed dispersal, predation and plant establishment: Janzen-Connell and beyond. Journal of Ecology 92: 733-746. Spatiotemporal dynamics of recruitment in Aleppo pine (Pinus halepensis Miller). Plant Ecology 171: 123-137. Floristic al and ecological studies on burned black pine (Pinus nigra Arn. subsp. pallasiana (Lamb) Holboe) forest area at Central Anatolia. Asian Journal of Plant Sciences 6 (6): 892-905.
vegan: Community Ecology Package. R package version 2.0-10. Early reduction of post-fire recruitment of Pinus nigra by post-dispersal seed predation in different time-since-fire habitats. Ecography 27: 449-458. Effects of tree size, crown damage, and tree location on post-fire survival and cone production of Pinus nigra trees. Forest Ecology and Management 206: 109-117. Fire-related traits for plant species of the Mediterranean Basin. Ecology 90: 1420. Evolutionary ecology of resprouting and seeding in fire-prone ecosystems. New Phytologist 204: 55-65. Patterns of Abies cephalonica seedling recruitment in Mount Aenos National Park, Cephalonia, Greece. Forest Ecology and Management 258: 1120-1136. Reproductive biology of Abies cephalonica Loudon in Mount Aenos National Park, Cephalonia, Greece. Trees 25: 655-668. Evaluation of log and branch barriers as post-fire rehabilitation treatments in a Mediterranean pine forest in Greece. International Journal of Wildland Fire 14: 183-188. Regeneration of Abies cephalonica Loudon after a large fire in Central Greece. South-Eastern European Forestry 6 (1): 5-14. Post-fire management of non-serotinous pine forests. In: “Post-Fire Management and Restoration of Southern European Forests” (Moreira F, Arianoutsou M, Corona P, De las Heras J eds). Springer, Series Managing Forest Ecosystems vol. 24, Dordrecht, Heidleberg, London, New York, pp. 151-170. Does Baccharis conferta shrub act as a nurse plant to the Abies religiosa seedling? The Open Forest Science Journal 4: 67-70. Life histories of Mediterranean pines. Plant Ecology 171: 53-68. Structure and regeneration patterns of Pinus nigra subsp. salzmannii natural forests: a basic knowledge for adaptive management in a changing climate. Forests 2: 1013-1030. Fire regime and tree diversity in boreal forests: implications for the carbon cycle. In: “Forest diversity and function” (Scherer-Lorenzen M, Körner C, Schulze ED eds). Ecological Studies, vol. 176, Springer, Berlin, Germany, pp. 309-344. Mixed effects models and extensions in ecology with R. Springer, New York, NY, USA, pp. 574.